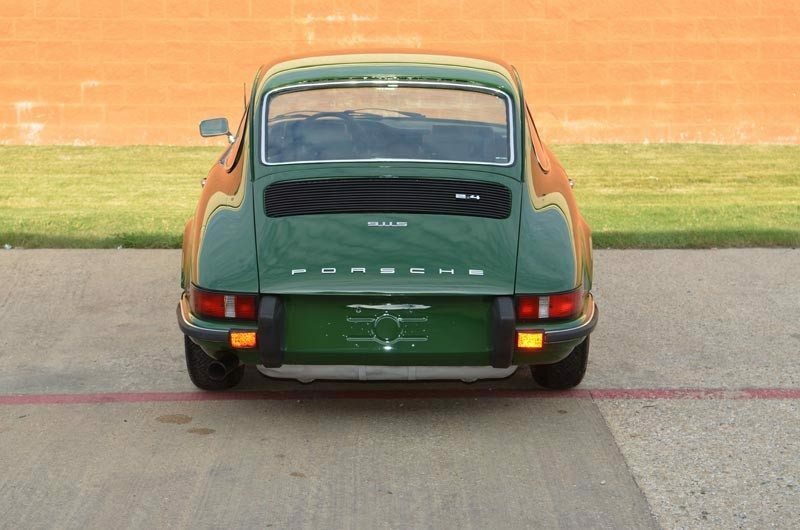 Early 911’s embody a combination that is rare among collector cars today. They have both unparalleled drivability and usability, especially when compared with other cars of the same vintage, but are also fully connected to an earlier era. There is a certain wholeness, cohesiveness, and agility that is only evident when they are driven, and it is no surprise that they have a fanatical following. They are simply a blast to drive, with the advantage of solid investment potential. The 911 S was introduced as a better-equipped and more powerful version of the standard 911. It featured engine modifications that resulted in 30 extra horsepower, and in addition, the chassis was modified and bigger brakes were installed. An extra 5 pounds was saved from each corner of the car by using Fuchs alloy wheels. 911S models for 1973 gained a discreet spoiler under the front bumper to improve high-speed stability. With the cars weighing only 2,315 pounds, these are often regarded as the best classic mainstream 911s ever, as well as holding the crown for being the longest running production sports car ever. 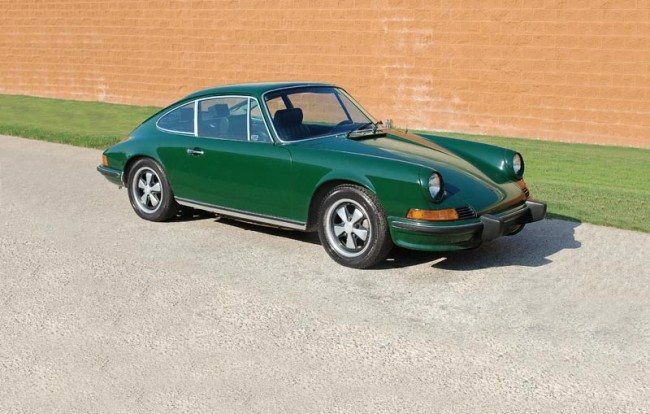 This lovely Irish Green 911S is complete with it’s Certificate of Authenticity, which shows that the engine and transmission are both numbers matching correct for the car, as are the factory Irish Green paint and black leather interior. It is a US spec vehicle for export, and was equipped at the factory with Koni Shocks, tinted glass all around, Dunlop tires, and the factory Blaupunkt radio. Most importantly, it indicates the factory air conditioning was present on the car from birth, complete with the crash bar for the front condenser. The car has been repainted in its original color to high standards, and the paint has a deep, bold shine. The body panels are very straight and display great fit and gaps. 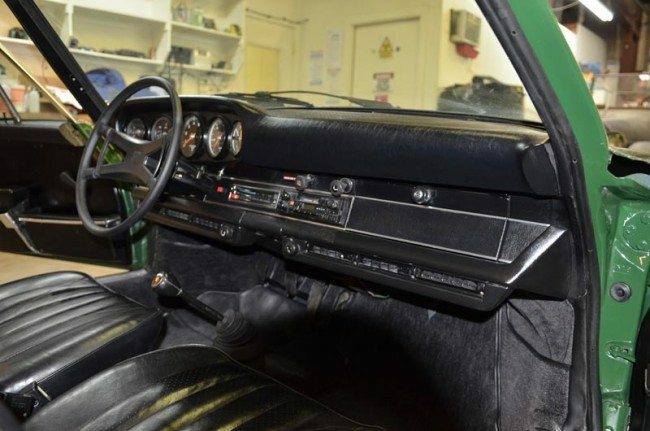 Likewise, the interior also presents as highly original and is in excellent condition. The dashboard is free of cracking, discoloration, and warping, and the instruments and controls are all in fine shape. Most of these cars were driven hard back in the day, and it is unusual to find these cars at all, much less in the condition of this example. The engine compartment and trunk are both strikingly clean and correct in appearance, with the engine compartment even retaining the red fan shroud that is correct to the S Model. The original intake and fuel injection equipment is also in place, and the overall impression is that of an unmolested and properly cared for car. These cars are fast, nimble and highly satisfying to drive, and with factory air and full documentation, this beautiful example invites close examination by all. If you have a Porsche or another collectible you’d like to insure with us, let us show you how we are more than just another collector vehicle insurance company. We want to protect your passion! Click below for an online quote, or give us a call at 800.678.5173.